St. Petersburg, [Russia], Nov. 7 : In a move to deepen cooperation in various fields including economic and cultural, Chinese Premier Li Keqiang arrived in St. Petersburg. The 1.3 billion-U.S. dollar Pearl of the Baltic Sea project was launched in 2005 in St. Petersburg's southwest Krasnoselsky district. Shanghai Industrial Investment Co., Ltd. and seven other Chinese companies had participated in the project that has become China's largest non-energy investment project in Russia, reports Xinhua news agency. The Pearl of the Baltic Sea is a modern multi-functional residential and commercial zone, with a total construction area of 1.94 million square meters. More than a decade later, it has become a renowned local brand. Moscow [Russia], Oct. 17 : Russian President Vladimir Putin has expressed hope that Russia-US relations may recover after the presidential elections in the United States. "I hope that when these elections, debates, this difficult period in the internal political situation in the United States ends, there will be chances to restore Russia-U.S. relations," Putin said at a press conference on Sunday in India, where he was visiting to attend the BRICS Summit. "Confrontation is not our choice," he added. Berlin, May 31 - Russia said Friday that it was prepared to continue negotiations with Ukraine over gas supplies next week once it receives partial debt payment from Ukraine. Representatives from the European Union (EU), Russia and Ukraine met here Friday for a new round of trilateral talks in a bid to settle the ongoing gas dispute between Russia and Ukraine, days before a deadline set by Russia to cut the flow of gas if Ukraine does not pay unpaid bills, Xinhua reported. St. Petersburg (Russia), May 25 : Russian President Vladimir Putin has expressed his country's willingness to work closely with prime minister designate Narendra Modi and promised to strengthen economic, military and technical cooperation . Speaking to a group of journalists from the international media here, Putin reportedly said that the relations between the two countries are above political parties. He said, Russians are friendly with the Indian people and they want to have good relations with India. 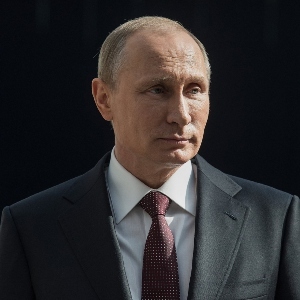 St. Petersburg, May 25 - Russian President Vladimir Putin said Saturday that his meeting with Chinese President Xi Jinping earlier this week in Shanghai marked that Russia-China relations have entered a new stage. 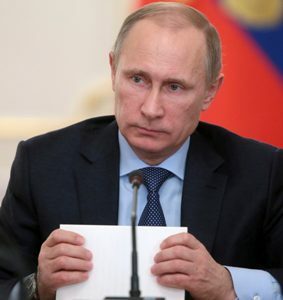 Putin made the comment during his meeting with representatives of world leading news agencies at the 18th St. Petersburg International Economic Forum, Xinhua reported. Putin also said that the consensus reached and agreements signed in Shanghai demonstrated a big step forward for the relations between Russia and China. Moscow, April 19 - The country eyes closer economic ties with China, with bilateral trade's turnover expected to reach $100 billion next year, Russia's deputy Prime Minister Dmitry Rogozin said Friday. Trade growth between the two countries had accelerated in the first two months of this year to 4 percent, Xinhua quoted Rogozin, who met visiting Chinese Vice Premier Wang Yang in the Far East city of Vladivostok, as saying. China became Russia's largest trading partner last year and Russia became China's ninth largest, he said.